Suzan Gage shapes the future by shaping individual lives. As the executive director of the Early Learning Coalition of Northwest Florida, Gage leads an organization that administers school readiness and voluntary pre-kindergarten programs in a seven-county area. 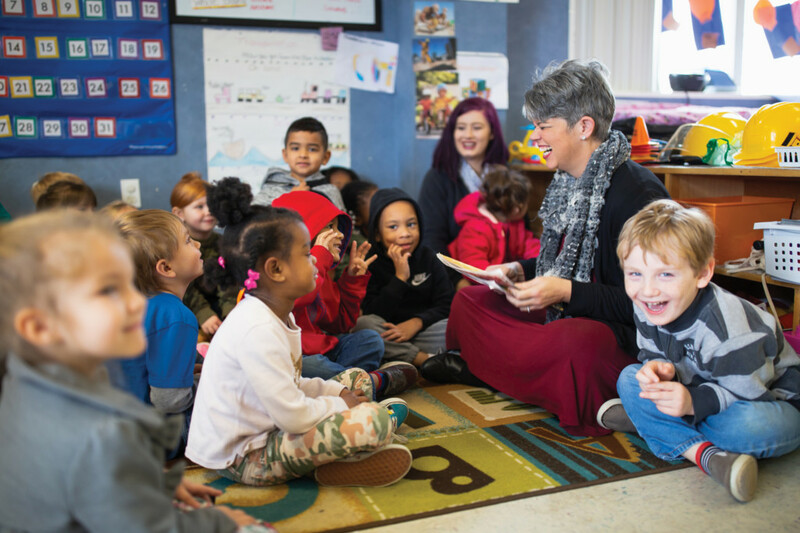 The coalition contracts with providers including small businesses, child care centers, nonprofit and faith-based organizations and public schools, whose personnel work to prepare children for their entry to formal education. In addition, it provides training and technical assistance to early childhood educators and caregivers. Those trainings are customized to meet the needs of a given contractor. At times, those needs are occasioned by extraordinary circumstances. “Children had a hard time processing what they went through after the hurricane,” Gage said. For the coalition, storm response became a priority. Licensed mental health therapists were retained to assess behaviors and recommend activities designed to help children express themselves. The coalition launched a Hope and Recovery Project (HARP), which involved providing contractors with kits including activities books, hands-on learning tools and therapeutic materials. Early childhood mental health consultants met with children, their parents and teachers to talk through challenges and reminded them that they were not alone in dealing with post-storm trauma. A combination of coalition funds and grants were used to pay for the initiative. Gage applauded the efforts of the Office of Early Learning in Tallahassee to help out; the coalition’s largest grantor supplied burner phones, generators and moral support. Storms notwithstanding, Gage is an optimist. “In early education, we are doing the best we can with the resources and the knowledge that we have,” Gage said. “We could always do more, but increasingly we know what works for children so that we can better prepare them to be successful when they enter formal education, and ultimately, the workforce and become parents themselves. Of course, in the case of any individual child, early education either happens now or not at all. Remediation, when that is necessary, is reliably expensive but not always reliable. The counties served by the coalition—Bay, Calhoun, Franklin, Gulf, Holmes, Jackson and Washington — are learning that lesson. In Bay County, a citizens’ initiative, Alignment Bay County, is committed to supporting children as a way to enhance public school success, children’s health and the success of communities as a whole. Gulf Power Co. has invested in quality initiatives for the coalition’s child care providers. “They recognize that to build a workforce, you have to start young,” Gage said. Gage, the mother of three children of her own, grew up in Montgomery, Alabama. A product of the 1980s, she wanted as a kid to become a “spy or an archaeologist,” but wound up earning a master’s degree in postsecondary education at Troy University. As a Holmes County Public Library employee and member of the Holmes-Washington School Readiness Coalition, she met Lynne Eldridge, whom she would one day succeed as coalition director. When, 12 years ago, Gage had the chance to leave a Head Start program where she was serving as education coordinator to go to work alongside Eldridge, she didn’t hesitate. At the coalition, Gage is surrounded by long-timers — Matt Bonner, Joe Seabrook, Donna Wood and others — who have been with the organization since it was created by the state legislature. Each was infected with Eldridge’s devotion to children in the same way that Gage was. Children will be OK, Gage said, given the right opportunities. “In early childhood, we talk about scaffolding the environment, seeing to it that children are supported and can continuously move to new levels in their development without reaching a plateau.